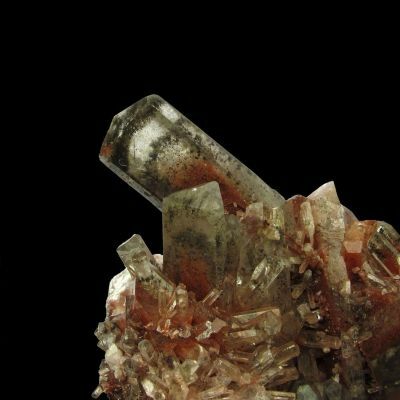 Delicate in both looks and form, this is a choice pseudomorph from the world's greatest mine, Tsumeb. 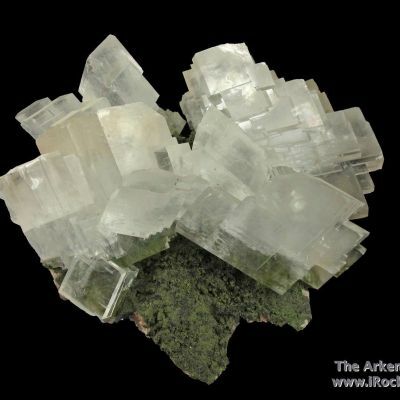 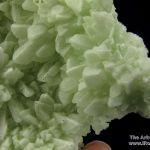 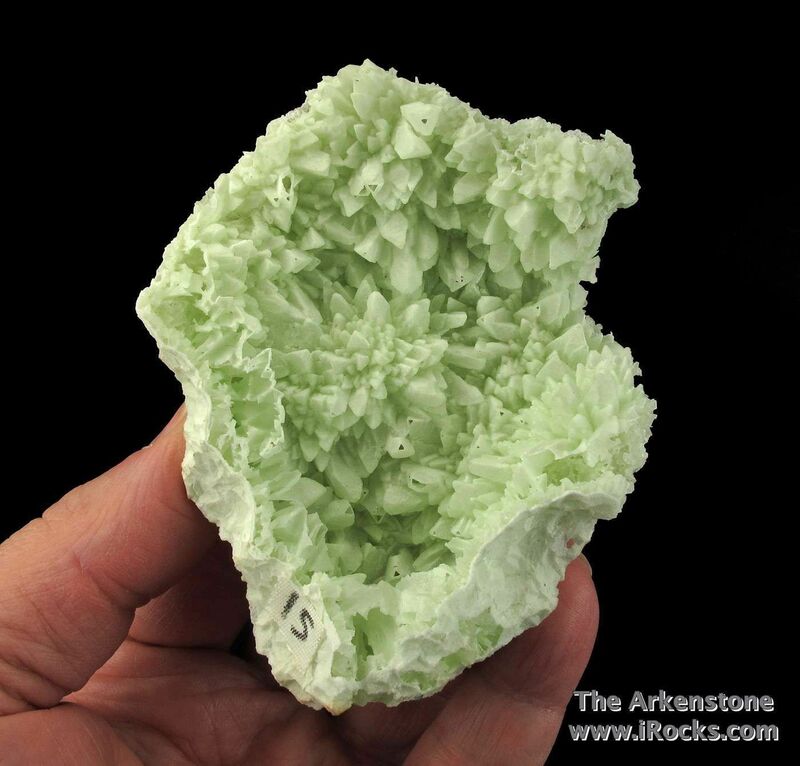 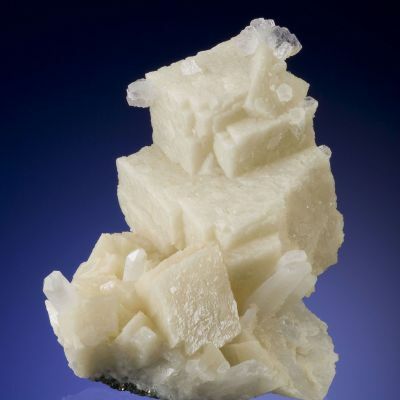 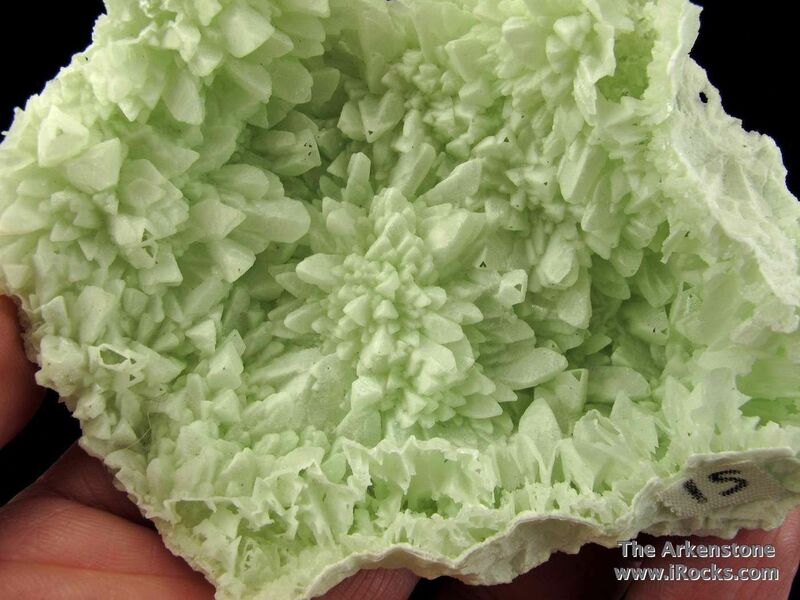 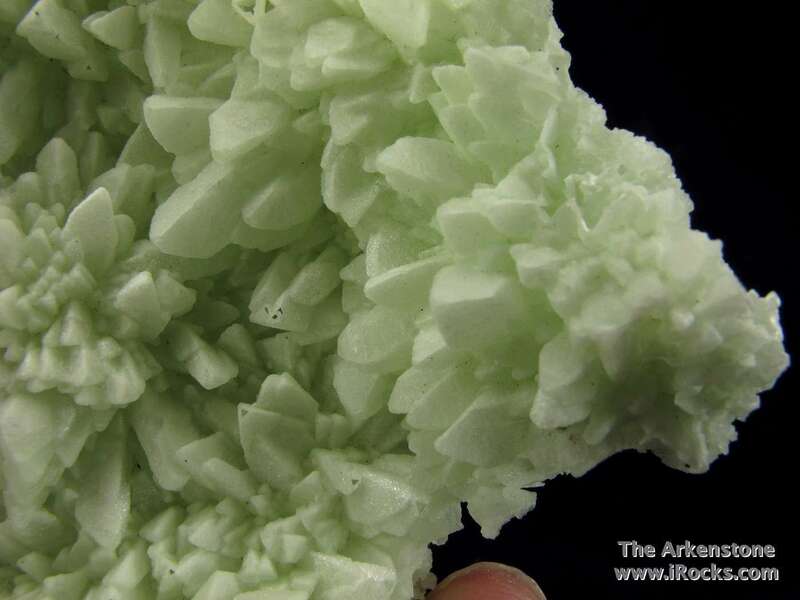 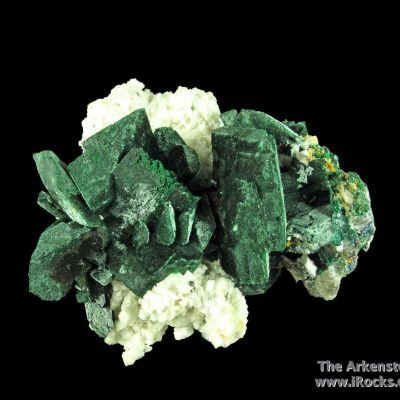 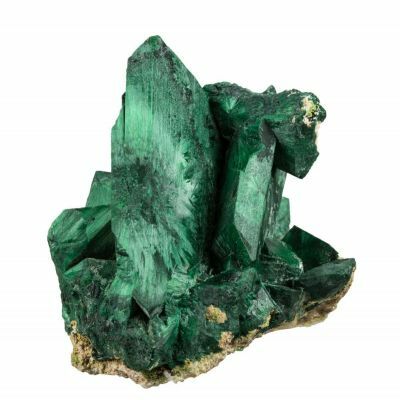 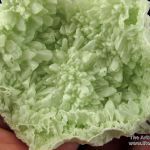 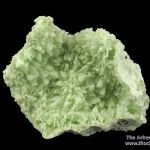 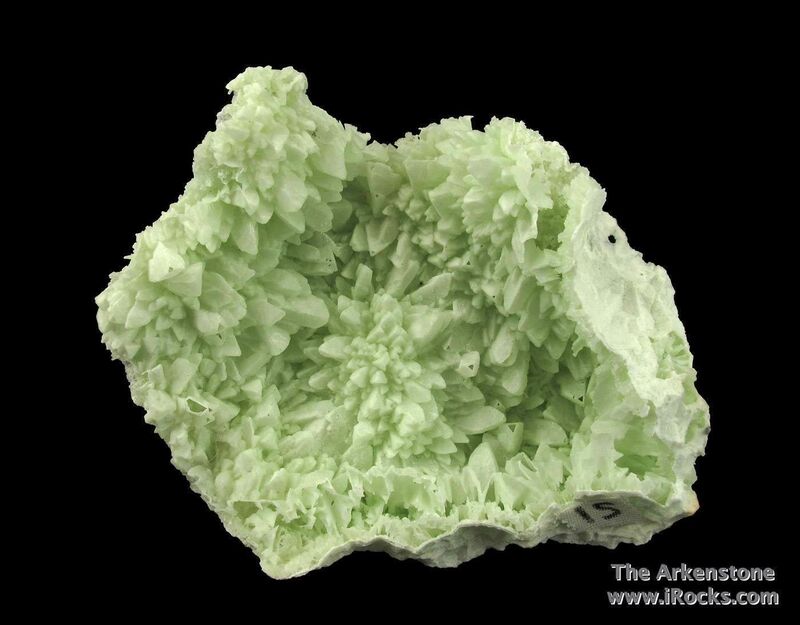 Pretty, light mint-green, Cuprian Dolomite has pseudomorphed sharp Calcite scalenohedrons on this striking, sculptural, curved crust. 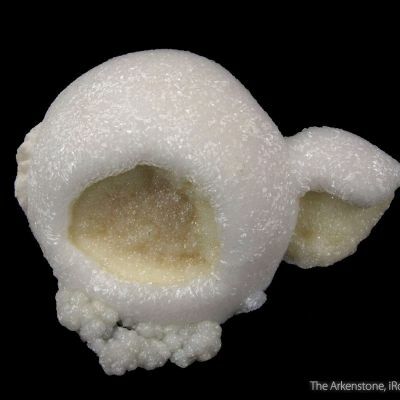 The specimen is extremely light weight for its size, like balsa wood, as a few broken tips on the pseudos reveal that they are hollow! 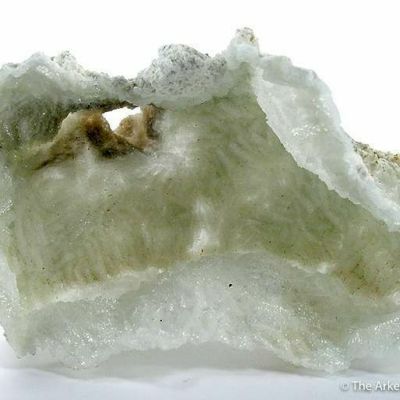 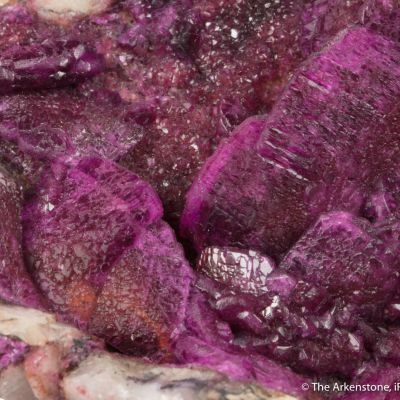 Hence, the pseudos are casts after the Calcite crystals. 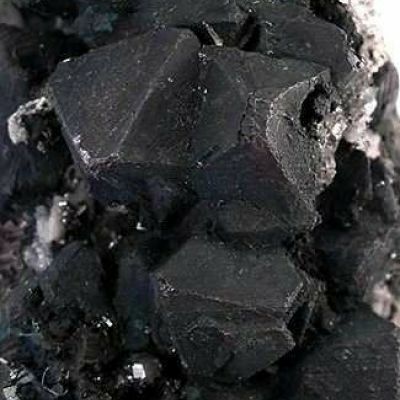 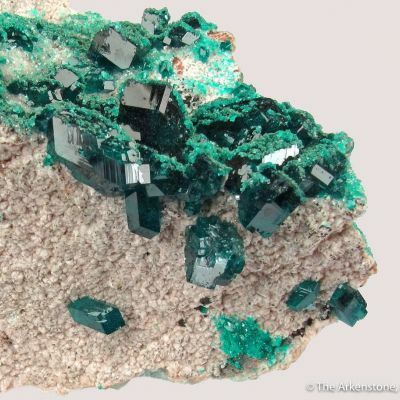 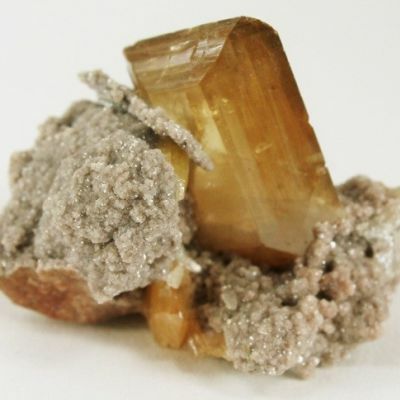 An uncommon, excellent, and quite showy pseudomorph from Tsumeb. 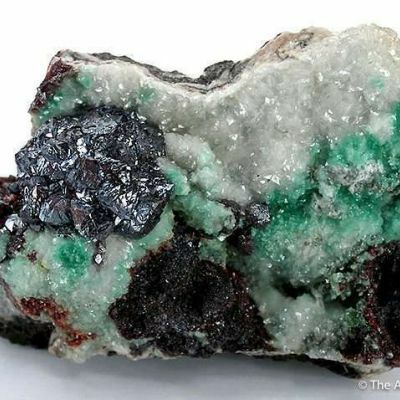 This is a gorgeous, unique specimen with very fine aesthetics for the material. 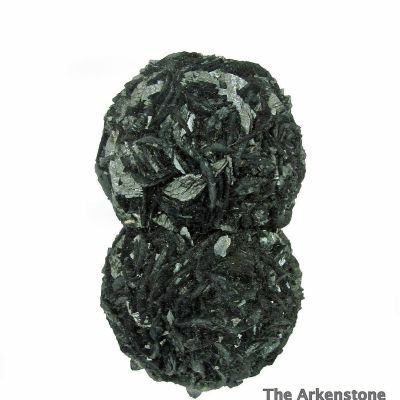 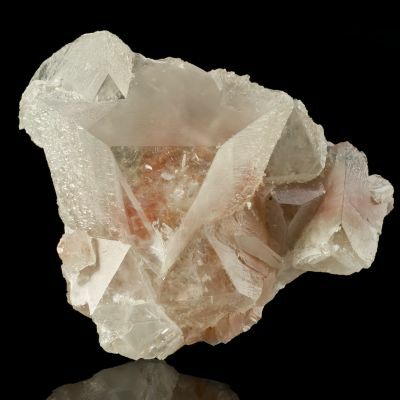 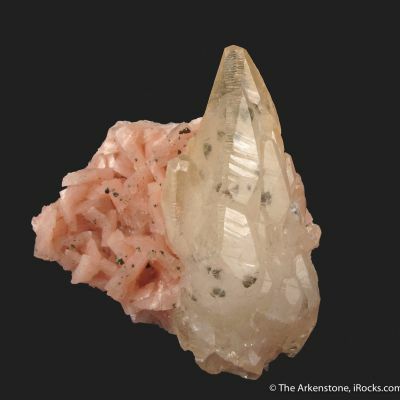 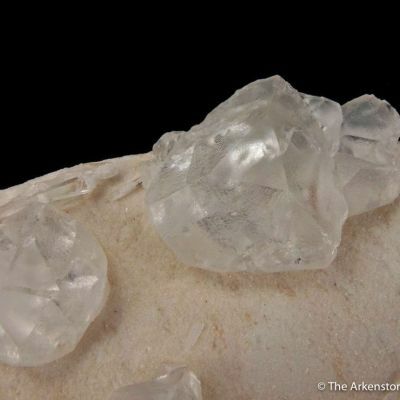 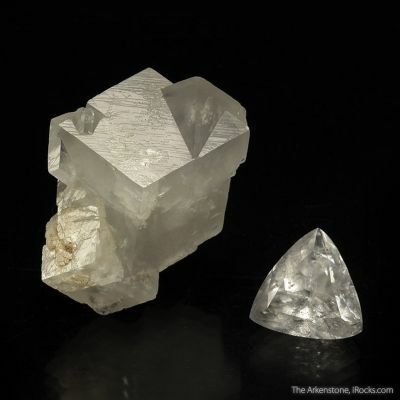 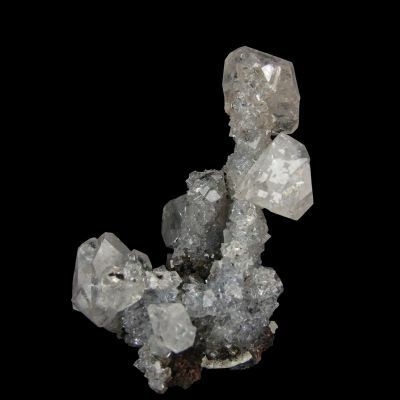 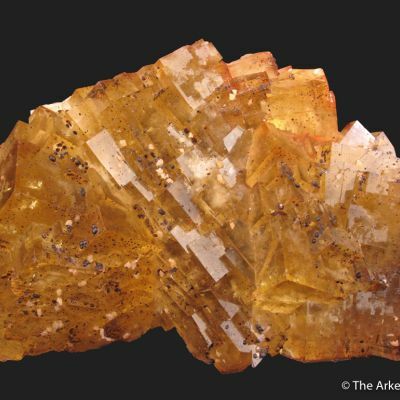 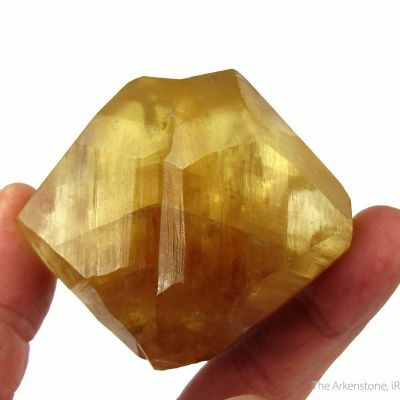 Calcite with Boulangerite inclusions "Double Ball"